Artpark is a free zone for art and architecture in the Fruit Harbour of Rotterdam. 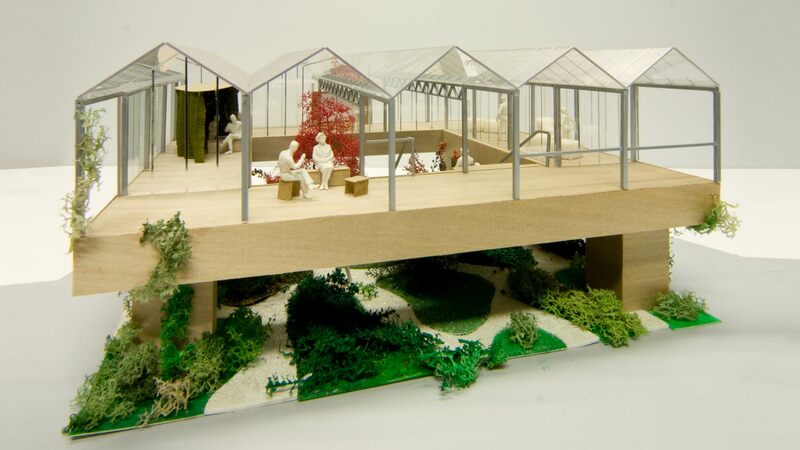 During the Architecture Manifestation Rotterdam 2007, Rotterdam architects and designers competed to design an art pavilion. The Fruit Harbour is a typical Rotterdam riverfront location: gray, rough and rugged. 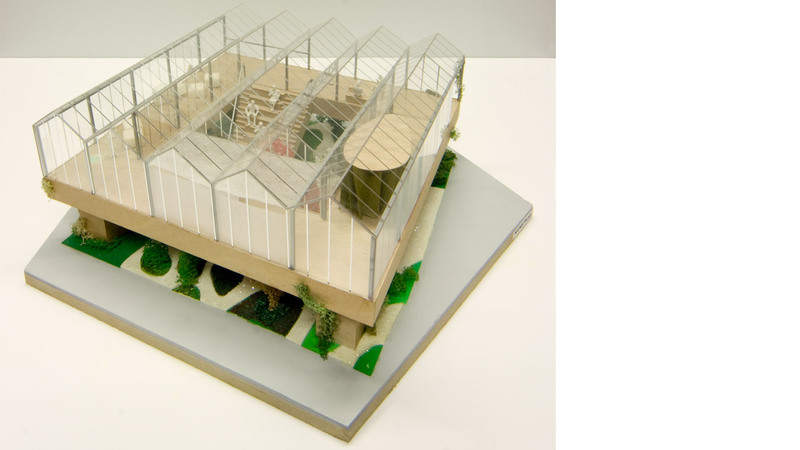 In this context, an atypical building would fit right in: a greenhouse on legs, a sturdy platform covered with a greenhouse structure and containing a central oasis of fruit trees. Because of its height, the Kunstkas is a beacon in a rough milieu, a totem in the Artpark. 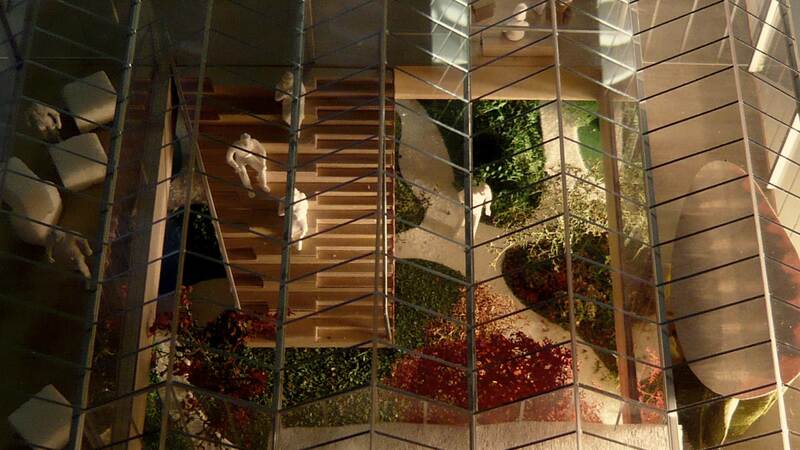 At the same time, the building creates for visitors a world of sensitivity and sensuality within a raw environment. A covered, lush garden with citrus trees sits in the ring of the platform. 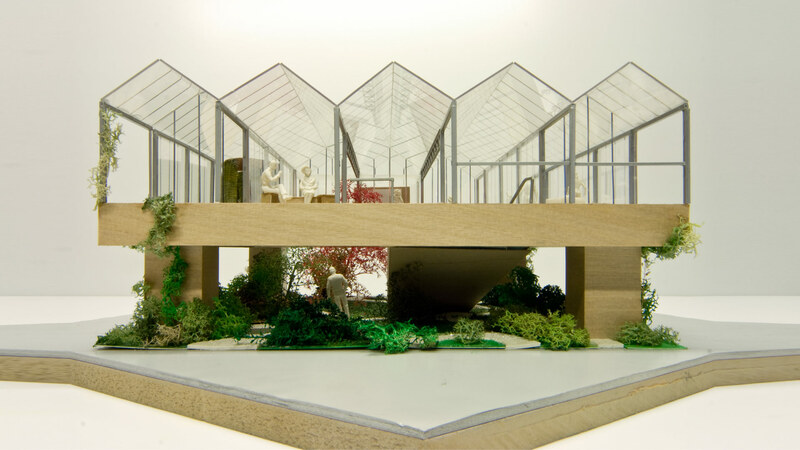 An exhibition space is part of the complex.The garden is a hybrid between inside and outside, between private and public and offers visitors a beautiful view of, and an intensely-felt connection with, the harsh harbor landscape. 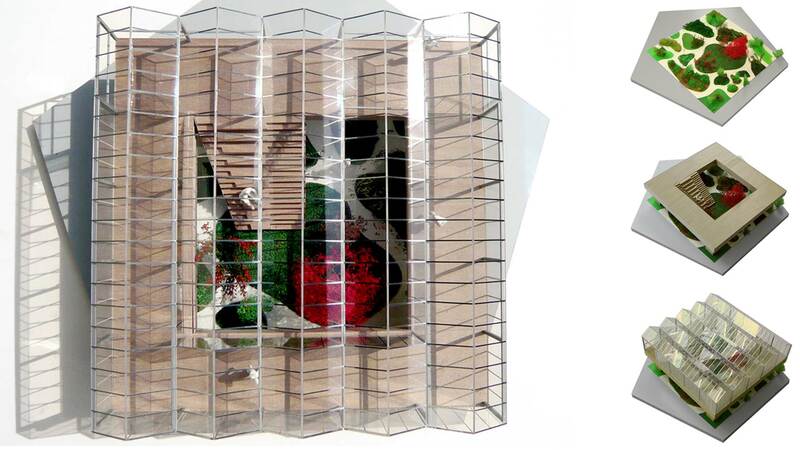 The Kunstkas utilizes optimal, refined construction and climatological techniques. Its greenhouse systems are ultra lightweight, inexpensive and easily disassembled. The sun can heat the building and rainwater is discharged to the garden. 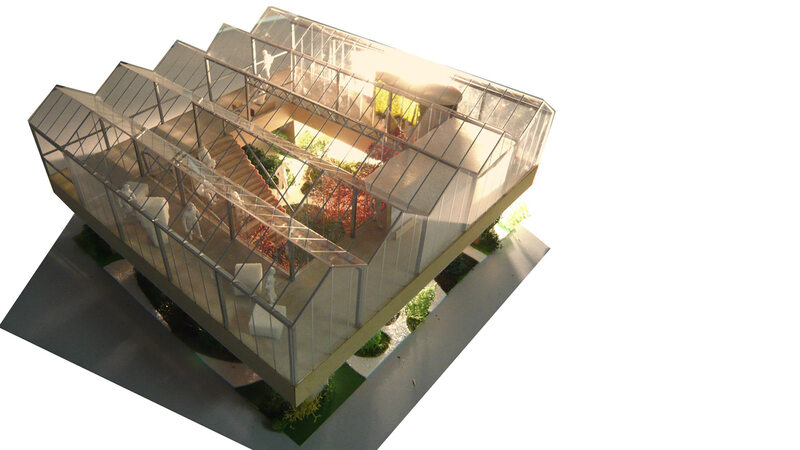 Thanks to the greenhouse system, the roof can be completely opened. 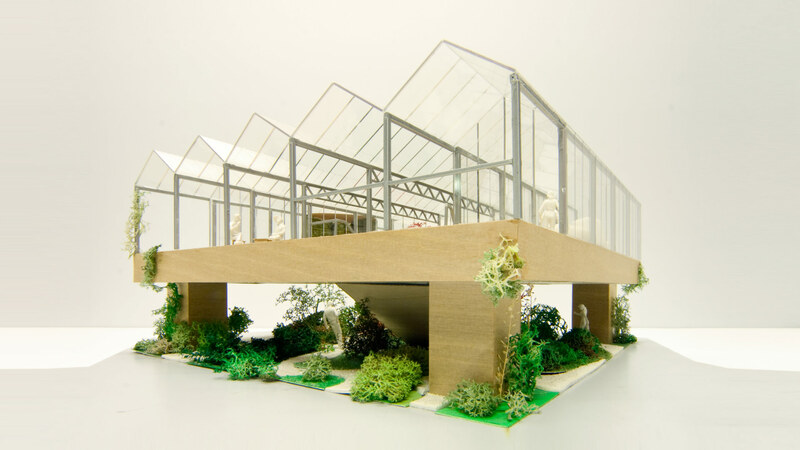 The platform consists of a demountable steel structure covered with wood. The thick floor provides space for all installation facilities including, if the budget allows, heat storage and heat exchange equipment. The Kunstkas is a hybrid and sustainable complex and has a strong iconic presence.